Whether designing for the dark or the light side, costume makers must meet the practical demands of the high action of their characters. 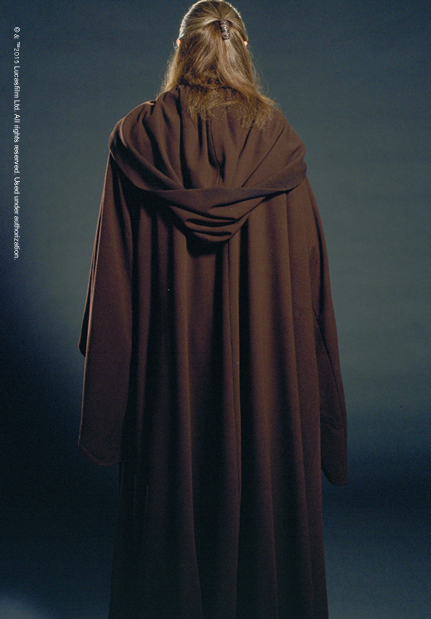 Loose cut, open shoulders and tunic construction allow great range of movement for the Jedi, and speak to their role as warriors. Designers look carefully at the actor’s movements and take into account fight sequences and stunt requirements. 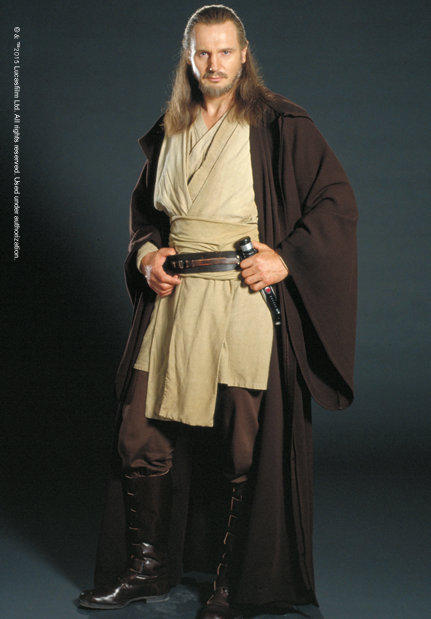 Qui-Gon Jinn, mentor of Obi-Wan Kenobi, wore this Jedi costume of silk under- and overshirts, held by a matching cummerbund under a leather Jedi belt. Qui-Gon was a revered, yet maverick Jedi master who challenged the authority of the Jedi Council. 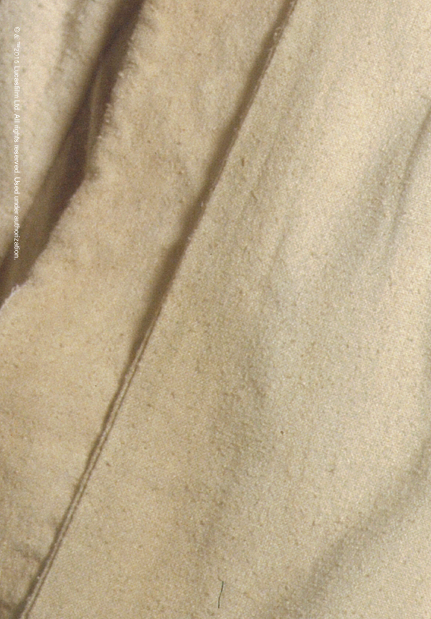 His disheveled robes reflect his unconventional style.